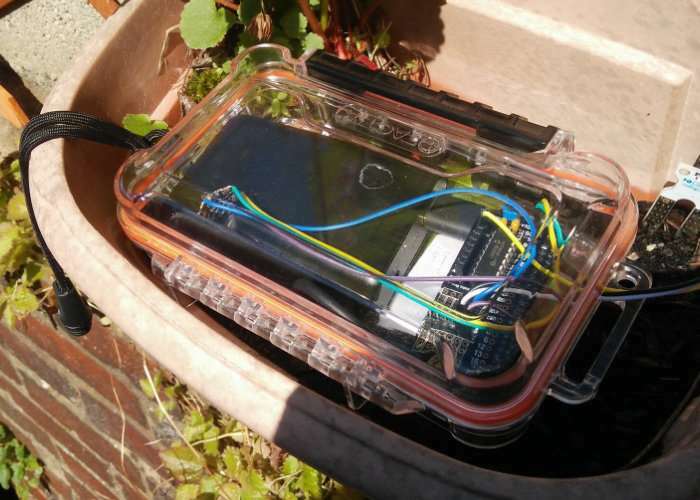 Over on the Element 14 blog, Les Pounder has published details on how to create your very own Raspberry Pi powered Internet of Things garden monitoring system. Using the Raspberry Pi mini PC notifications can be sent directly to your smartphone or wearable device, say for instance when it needs watering or needs attention. Gardening is a delightful hobby, but it can be a chore and one particularly bothersome job is watering the garden. Water it too often and the plants can die, too little and they can also die! But surely technology can offer a solution to this age old problem? Well yes it can, and in this tutorial we shall be using the Raspberry Pi Zero W, the lower power Pi with added Bluetooth and WiFi, along with two sensors, a soil moisture sensor to check if our garden needs water and an Adafruit Flora UV sensor to measure the ultraviolet index of the sun. This data is then emailed to our preferred inbox via a Gmail account that we can use to send the messages on demand. Our soil moisture sensor sensor will need an analog to digital converter to convert the analog voltage from our soil moisture sensor into something that the Pi can understand. In this case we shall be using the MCP3008 via an add on board from Rasp.IO called Analog Zero. A full instructions jump over to the Element 14 website via the link below.